SEG look after 5 schools spread over 7 beautiful campuses in Switzerland, with a student body made up of 111 nationalities and 6,500 students. Each school benefits from a unique location and educational experience and, with a tailored hospitality education, your 5-star educational experience starts here! 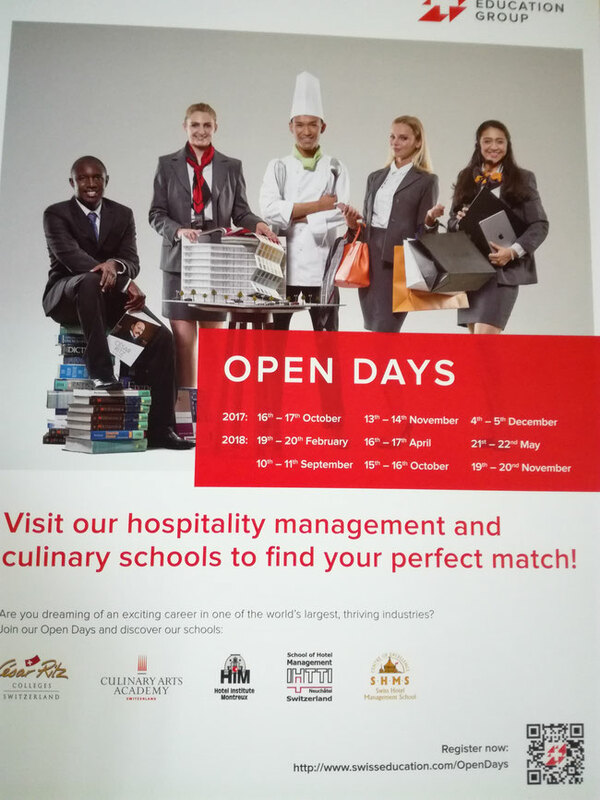 Swiss Education Group Schools Ranked in the Top 10 International Hospitality Schools Favoured by International Industry Recruiters. Bachelor degree, Postgraduate diploma and Master programmes are available at all of our hotel management schools and culinary school in a variety of subjects and specialisations. With 3 beautiful campuses in Le Bouveret, Lucerne and Brig, choose between French and German speaking Switzerland and benefit from a multi campus experience. With a focus on hospitality, tourism, business and entrepreneurial spirit, we are continually inspired by Mr César Ritz, the pioneer of luxury hotels. A 3-year degree, in partnership with Washington State University, includes 2 internships, a multi-campus experience and an international business plan competition. With a focus on entrepreneurship, discover cuisine from around the world with our state of the art culinary facilities. Choose between two campuses, Le Bouveret (French-speaking Switzerland) and Lucerne (German-speaking Switzerland). Focus on French and Italian dishes, specialise in Swiss Pastry or become an expert in the Art of Chocolate. Located in the heart of Montreux, within easy reach of Geneva airport, study Swiss hospitality combined with American business management. Choose to specialise in Finance, Marketing, Human Resources or Luxury Business Management. With a home to home family environment, this boutique-style hospitality management school offers a focus on design. Students have access to an on campus Design Studio and regular off campus visits to various design companies. Set in the vibrant university town of Neuchâtel, student life is full of both town and leisure activities. A Swiss and British degree in 3 years with a focus on design in relation to the hospitality industry. Choose from 2 beautiful campuses in French-speaking Switzerland. The Leysin campus is housed in two former palace hotels, the Mont-Blanc Palace and the Belvédère, which are linked by a private sky-train. Caux is also a former palace hotel, located in the hills behind Montreux. Inaugurated in 1902, after the second World War, it was transformed into a conference centre before later becoming home to Swiss Hotel Management School students. A 3-year Swiss and British degree, 2 internships and a multi-campus experience (in partnership with University of Derby). We work closely with our industry partners to ensure that all of our courses are tailored to meet industry needs. We are strong believers in providing the industry with graduates who are trained and capable, inside and outside of the classroom.